I thought the last post would be the final for July but this evenings little 4.25 mile ride deserves mention. 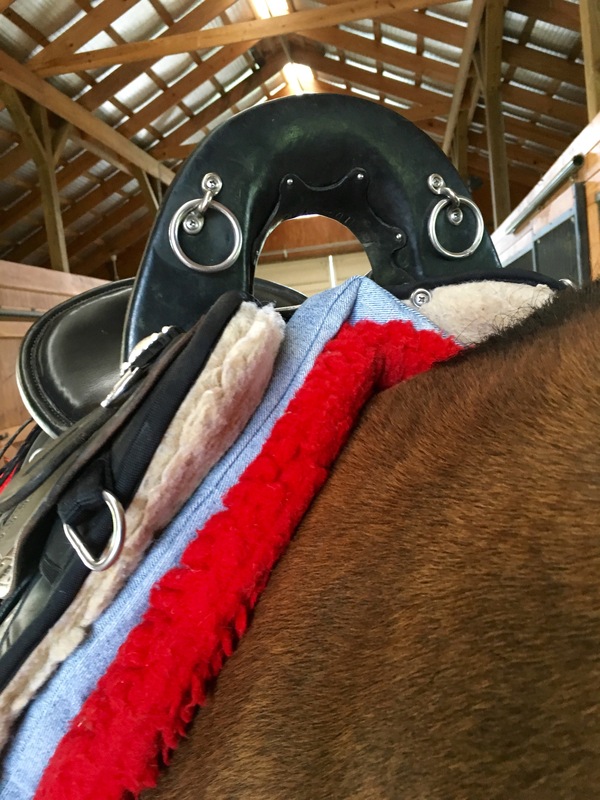 First Nette and friends created a custom felt shim pad for me from a template of Pam’s to pull the front of my saddle up just a touch. We’ve established that Khaleesi LOVES my Phoneix Rising Saddle – in wide (I’m either selling or returning the standard tree now that she’s muscled out so well) but I think in part because she may almost be between sizes the front of the saddle sits just a tiny bit low. Not enough to pressure her withers- but enough to push my balance forward. This pad is the perfect solution. Nette is a craft genius and I knew if I gave her the raw materials she would come up with the perfect solution and she did- and even a week early! So we met at the barn to try it out. Then as it was evening, cooling off, and I’m leaving for a week on Sunday and girl’s going on vacation I decided to get one last ride on. Alone, short, fast, and sweet. always gives me a laugh- she tips her food over at the end to get the grain and minerals separated. For a while tonight she just stood one foot in her empty feed pan. 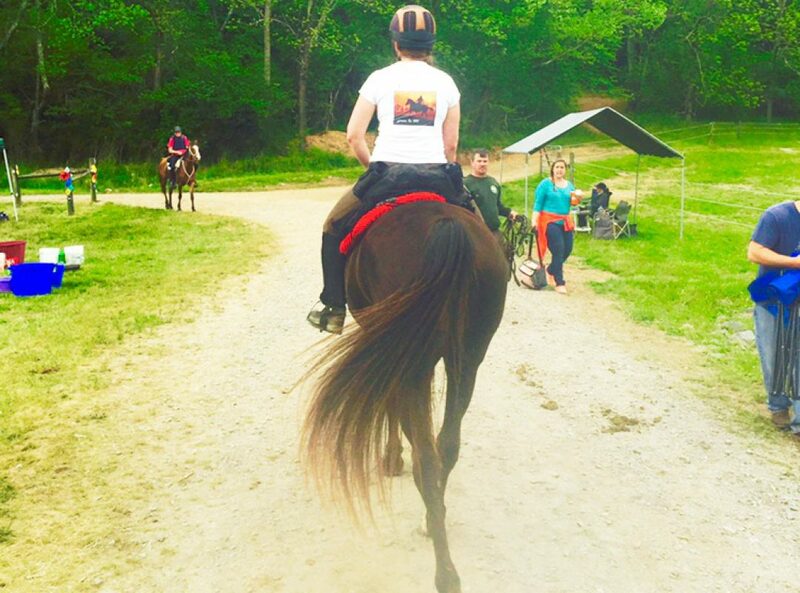 We did a quick 4.25 miles with the goal of trot & canter as much as possible. It was nice to ride alone for the first time in maybe a month now… She and I are really starting to click on a new level and I enjoyed the improved communication. Moving out to my turn around point I asked to keep up with a good pace and mostly trot with some slow cantering up hills. Her canter has always been a gentle, not too fast canter and if Faygo or Ned has pushed a race on for fun they always pull ahead in the end. I’ve never held her back before and encourage her to canter from time to time but it’s not my focus right now. I said: ok let’s go! I have never gone so fast on a horse in my life. I am certain of it. Faygo is fast… But this canter took off and I felt the wind like I was in a convertible on the road. It took my breath away and it was exhilarating and a little frightening at the same time. I let her run it out just a little because I wanted to feel what was happening but I pulled her back as it was more than I was truly ready for at the moment. It was breathtaking but it wasn’t truly scary- she was never out of control and didn’t feel for one second like she was running away with me- but it felt faster than safe to continue on trail- even for me! It was a glimpse. It was a view into her potential and what she can offer me when I am ready and when we truly are pilot/co-pilot. 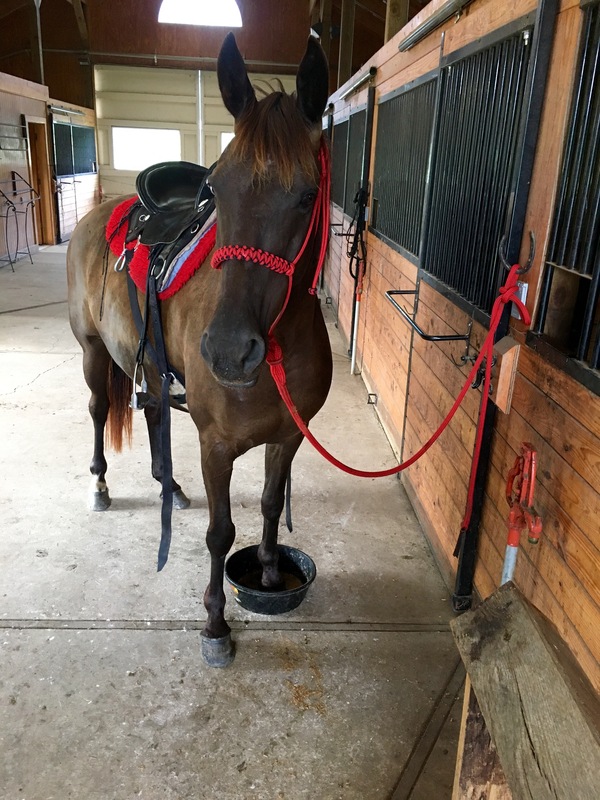 Not just a speed demon canter, that’s the tip of the iceberg- and since I’m not barrel racing we probably won’t use that gear a whole lot anyway. As a horse there is so much they can offer that we never learn to ask for or never dream to ask. 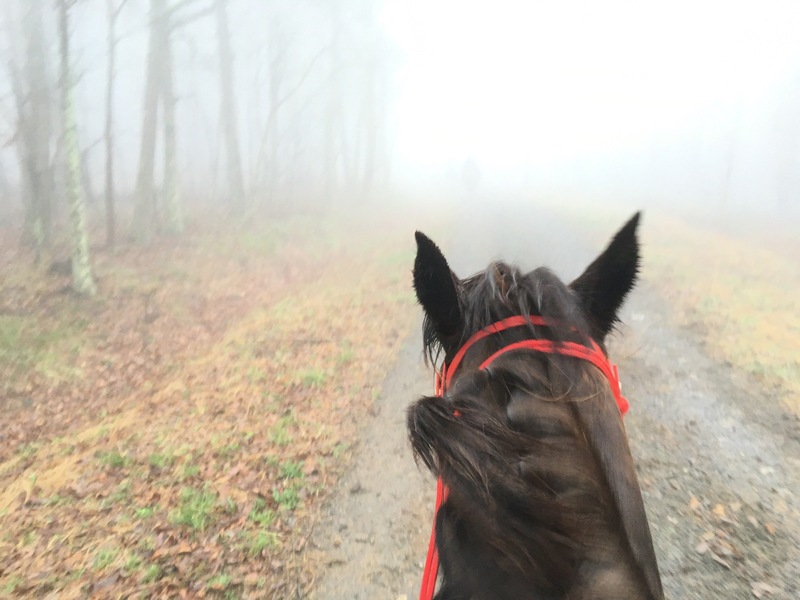 Most of us (myself included) barely scratch the surface of what horses can do. This moment in the evening as a farewell ride until I return she gave me a shadow of what this little mare can do as I learn to ask, and train myself to be ready. Jaime, so glad it was what you wanted Bev and Steph and I had such a good time with the project, it was a playdate!